Basic Level offers valuable Cash Back on all purchases at your customers’ favorite stores and is free to join. Shoppers earn Cash Back that can be combined with coupons and discounts (stackable savings) as they shop online. Premier Level gives your customer up to DOUBLE the Cash Back than what they would normally earn at the Basic Level. Each new shopper gets to experience Premier Level benefits for 90 days. Customers then extend their Premier Level benefits through “gamification”- the easy and fun way to continue to earn up to DOUBLE Cash Back on all qualified purchases. They simply shop, engage or share on social media to earn “boost” points that extends Premier Level status. 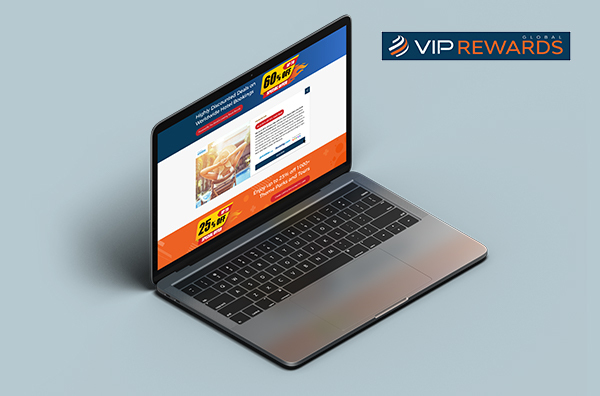 The exclusive VIP Rewards Membership provides access to our highest Cash Back earnings plus incredibly valuable specials, discounts, coupons and deals from the best online stores around the globe. VIP Rewards Membership also offers exclusive deals unavailable to anyone else. This exclusive membership is available to all of your customers for only $49 annually. A priceless deal: for only $49 annually or $4.99 a month, your customers have access toone of the best values in all of online shopping. Our VIP Rewards offers extra 2% Cash Back on all purchases, the highest Cash Back available on shopping and travel bookings. Benefits of exclusivity: VIP Rewards provides members with a selection of exclusive offers not available anywhere else. Many of these offers will be time-sensitive, encouraging your customers to visit the site often. Designated deal team: we have a team of professionals focused exclusively on scouring the globe for the best deals for our customers. These deals can include travel benefits, increased Cash Back and a host of other benefits creating a value-rich experience for your customers to continue using the site over and over again. Powered by Ominto, Inc. a leader in global online Cash Back shopping, BSP Rewards provides this personalized shopping website to deliver customized deals, discounts, coupons and Cash Back earnings to a global community of shoppers through its co-branded Partner Programs. The program recognizes each customer’s country or local market, and delivers a tailored shopping experience, including preferred stores, language, currency and deals. We are able to offer Cash Back to millions of shoppers as the result of our partnerships with thousands of online stores and travel booking sites around the world. These stores pay us a commission when shoppers make purchases through a Partner website (you), and we share the commissions with those same shoppers and Partners in the form of Cash Back earnings. Although your customers can start enjoying the highest value and exclusive benefits of the VIP Rewards immediately for a membership fee of only $49, they may also register the “Basic Level” which allows a shopper to earn Cash Back from their online purchases and receive other valuable benefits, at no cost. As a matter of fact, for the first 90 days, we will even boost your customers up to “Premier Level” where they earn up to DOUBLE Cash Back. After 90 days, a simple and fun process of “gamification” will allow them to remain at the Premier Level even longer. Once they experience such high Cash Back and all of the other “stackable” savings that the Premier Level provides, they will be more than ready to register for the exclusive “VIP Rewards” so they can receive the highest Cash Back offers, deals, coupons and discounts available only to VIP Rewards Members. BSP strives to optimize each consumer transaction by providing as much economic value as possible on each and every purchase. Your e-commerce website is the most comprehensive Cash Back and discount shopping website your customers will find – anywhere. The online travel economy is the fastest growing category in all of e-commerce and your BSP Rewards site includes a wide variety of travel offers, complete with special promotions, discounts, Cash Back and other savings. Customers get paid to travel - they earn Cash Back and other savings every time they book hotel stays, vacation packages, rental cars and more. All the customer has to do is search and book - then watch the Cash Back add up. The VIP Rewards provides its members the highest Cash Back shopping opportunities we can offer. VIP Rewards members pay just $49 annually to access special savings offers that aren’t available to other shoppers. The exclusive VIP Rewards gives access to unpublished savings and other specials available only to VIP Rewards members. These high value deals offer your customers savings unavailable anywhere else!